Are you in search of something delightful to win the heart of your sweetheart this Valentine's Day? 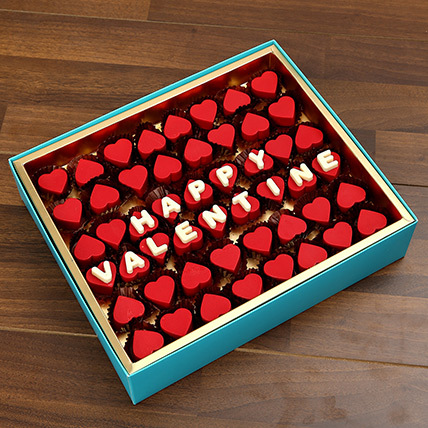 There cannot be anything better than this box of heart-shaped Belgium chocolates to convey your infinite love for your darling and make her smile. She will relish every piece of the chocolate joyously and you are guaranteed to receive warm hugs in return.